I wrote four choir arrangements for this tour, a fun full-circle moment for me as I toured with Mike a decade ago as part of his tech crew. He performed in the USA, Enniskillen Northern Ireland, Inverness, London, and Budapest, with local choirs joining him and music director Jeff Taylor in each city. Did the music prep for orchestrators Kristin Wilkinson, Larry Paxton, and Buddy Skipper again this year, for artists including Jewel, Charles Kelley, Martina McBride, Jennifer Nettles, Darius Rucker, Brian Setzer, and Michael W. Smith. This concert at the University of Alabama in Huntsville featured the band Act of Congress with members of the Huntsville Symphony Orchestra, Huntsville Community Chorus, and the U.S. Army Materiel Command Band. Don Hart was the orchestrator, and I did the music prep. I did the music prep for a new arrangement written by Carl Marsh for featured artist Kathy Mattea, “Unto Us a Child Is Born,” featuring the Belmont Symphony Orchestra and choir. The show was broadcast nationally on PBS on December the 21st. 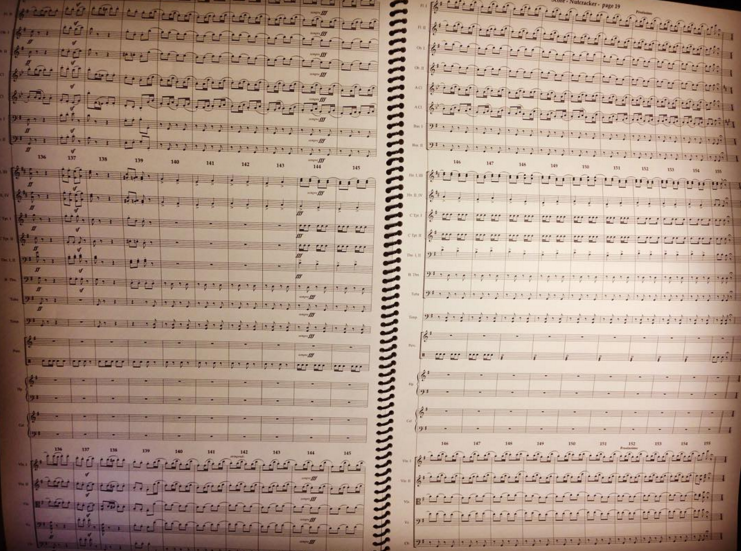 Don Hart orchestrated four new songs for Paul Reisler for a concert with the Manassas Symphony Orchestra, and asked me to help out with transcriptions and music prep. Carl Marsh orchestrated this new work for Paul Rom, I did the music prep, and the Louisville Philharmonia gave the world premiere. I did the music prep for several new arrangements and orchestrations written by Carl Marsh, including a mini-suite from Tchaikovsky’s Nutcracker that involved entering 14,000+ notes into Finale (giving me the chance to make it through a couple audiobooks while I worked). This entry was posted in Choral, Music, Music Prep, Orchestral. Bookmark the permalink.